Hotels-New-Zealand is a group of independently owned and non-related hotels, motels and serviced apartments providing accommodation located across Oamaru New Zealand. Hotels New Zealand allows you to deal directly with the hotels giving you the best possible rates for these Oamaru hotels. Book your accommodation online directly with the hotels in Oamaru and save !!! The Penybryn Lodge is a luxury guest lodge, located in the lovely seaside town of Oamaru. 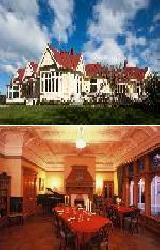 Penybryn Lodge Hotel is located on the southern boundary of Historic Oamaru on the East Coast of the South Island, one hour north of Dunedin, half way between Christchurch and Queenstown and just 2 hours drive from Mt Cook. 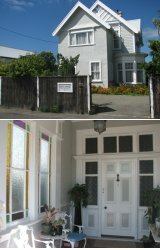 The Penybryn Lodge provides all types of travellers with discount accommodation in Oamaru. It also features a wide range of modern amenities and services such as lounge bar, conference centre, direct internet access, disabled facilities, free car parking, guest laundry, gym & fitness equipment, restaurant, room service, tour desk, garden and daily housekeeping. As a honeymoon destination, relaxing retreat, romantic getaway, heritage inn, wedding location or for that extra special occasion, The Penybryn Lodge provides guests the warmth and humour of famed Kiwi hospitality. For luxurious quality Oamaru accommodation and a convenient location stay at the The Penybryn Lodge. The Eden Lodge Accommodation in Oamaru was built in the 1860's of Oamaru Stone with extensive additions made in the 1900's. The property is furnished with antique furnishings and is ideally situated only one block from the main shopping centre of Oamaru. Guests who stay in this historic Oamaru accommodation can relax within the large historic house or wander around the developing gardens. The property as well as the township is teeped in history, so visitors can take a nostalgic step back in time but still retain all of the modern comforts that you would expect. The staff at the Eden Lodge are friendly and helpful and will be more than willing to let you know what there is to see and do in and around Oamaru. At this Oamaru accommodation guests can choose from an ensuite or a shared bathroom, with two rooms with luxury king-size beds, the third with two king single beds. All accommodation rooms have views from the upper floor and a fully cooked breakfast and refreshments are provided. The Highway House Oamaru bed and brakfast is located close to dining establishments as well. A house of character and refinement with most modern fixtures and fine ambience the bedrooms and bathrooms at the Highway House Boutique B&B are renovated and decorated to the highest degree.